Heal the sick and to Set the captives free in Jesus name. ​ Missions Revival! UGANDA FOR JESUS! ​Proclaiming the Good News of the Gospel of Jesus Christ and Praying for the sick to be Healed in Uganda. God has opened an awesome door for us to Preach Revivals and Minister in Uganda (Africa) on a Missions Trip. We leave on August 6, 2018 and will return the following week. Throughout Our Ministry at N.C.M., God has healed many from cancer, pain, deafness, growths, fibroids, thyroid problems, fibro myalgia, lupus, heart problems, back problems, growths, strokes, seizures and much more. Now we’ve been invited to go Minister and pray for our Brothers and Sisters in Uganda. I'm excited about the opportunity and experience that lie ahead. As you can imagine, a trip like this requires Prayer Support and Financial support. We invite you to join us through Sponsorship. I need to raise $2,500 by July 28th. If you can partner with us to reach the lost and pray for the sick to be healed, your tax deductible financial gift of any amount would be greatly appreciated. If you would like to be a part of this Mission through your financial support, please send a check to: [New Creation Ministries] write "Missions" and my name on the memo line. You can also sow your Seed @ www.cherylforrestministries.com . 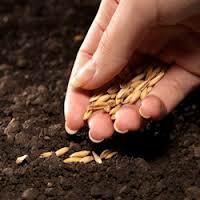 As you sow your financial Seed you will share in the Harvest of souls and healings that take place while we are there. Thank you and BLESS YOU for your support! We need People to partner and sow a seed of $100, $50 or any amount for my Uganda Mission Trip. Seed Faith Pledge - My $77.00 or more "TURN IT AROUND GOD SEED" . We release our faith with yours that God will turn that situation around for your good, "Right Now" in Jesus Name. Yes, I want to sow a Seed Faith Pledge that will help you reach 1 Million Souls with the Gospel of Jesus Christ, and That will cause me to experience a Supernatural Harvest of Favor, New Opportunities, Success and Turnaround. or Make a donation (any amount) - I would like to partner with you to reach the World with a Word of Hope, Healing, Deliverance and Restoration. Thank you!